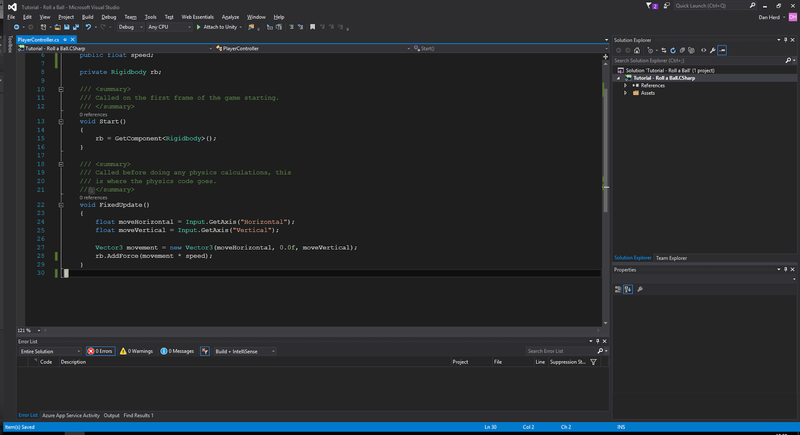 Full stack web developer learning how to create my own games. 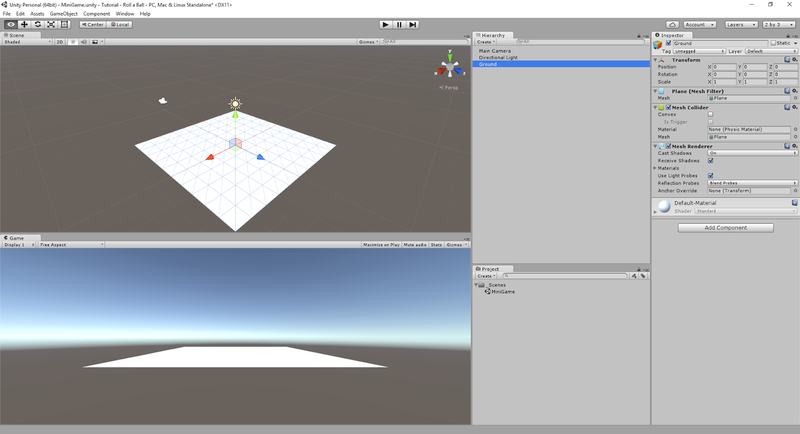 As I mentioned in my rough game development strategy, I want to dive into some Unity tutorials to get a grasp of the engine. 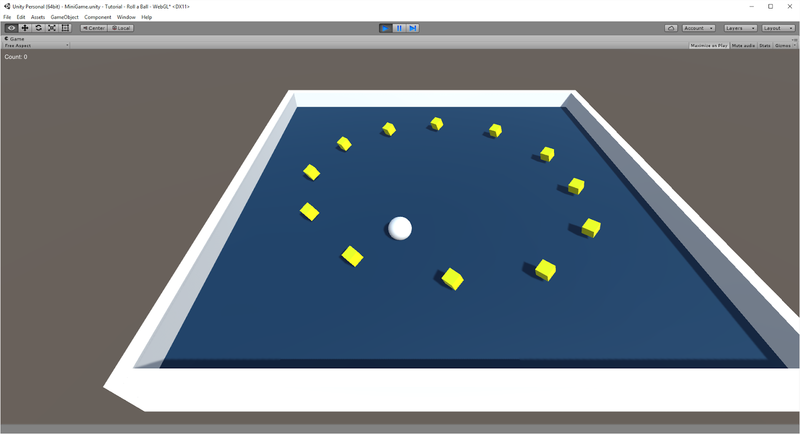 The first tutorial I've looked at is the rolling ball tutorial from the Unity website. For such a basic looking game it promised to teach me a lot of different core concepts! Mid way through the tutorial I can't help but think, these tutorials are designed for idiots. Thank you for telling me that the reason my new material sits within a sub folder, is because I had that sub folder selected when I clicked 'New > Material'. Truthfully I'm grateful for the slow start. Easing into it gently. Here's a familiar face, code! A few hours later and the tutorial is finished. It's kind of remarkable how much can be done in such a short space of time. I like it. The great thing about Unity is that you can easily publish to different platforms. I'm choosing to publish the tutorials I complete in WebGL so that I can view them in a web browser. Honestly the game looks better running in an .exe, but who's going to download an .exe file from a stranger on the internet.